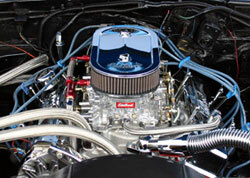 Looking for a highly reputable, Petaluma auto shop for your engine repair? Northbay Automotive, conveniently located in Petaluma at 929 Petaluma Blvd. South, is the dealership alternative for engine repair. Specializing in Volvo, Domestic, and Asian automobile makes and models, we service and repair the engines of makes like Ford, General Motor, Jeep, Honda, Nissan, Subaru, Toyota, and the fast growing Volvo products. Need a map? Contact Northbay Automotive in Petaluma to schedule an appointment for your vehicle’s engine repair. You may reach us via email at [email protected].